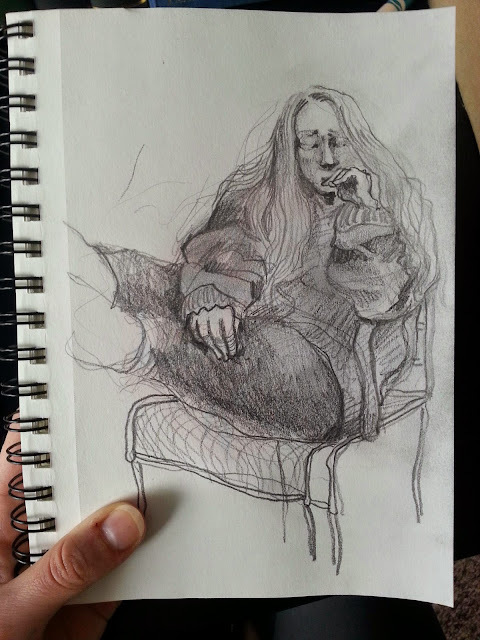 Here are some sketches that I made today. The first is of my friend Joanna sitting on the porch this afternoon. She was wearing her yoga pants and a giant comfy sweatshirt fro her boyfriend. That is why she looks so bunchy. 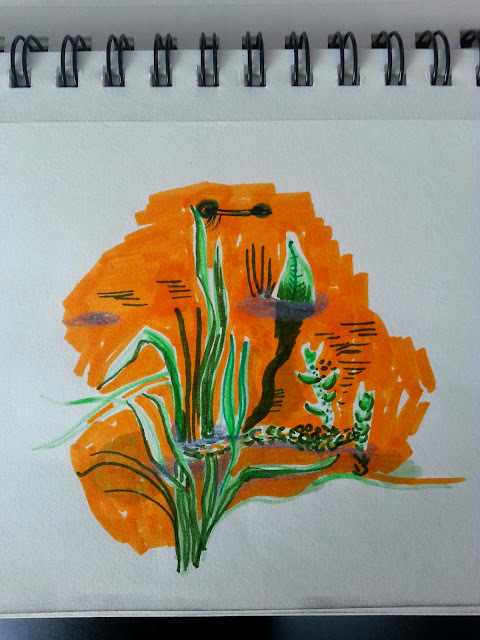 The second is an odd sketch I made when we walked down to a beautiful, frog-infested pond on Joanna's property. Apparently the frogs are called "Spring Peepers". This is because they make a loud noise with their throats. It is a surprisingly loud noise for frogs the size of quarters. I like to call them "Spring Loud Raspy Croakers". 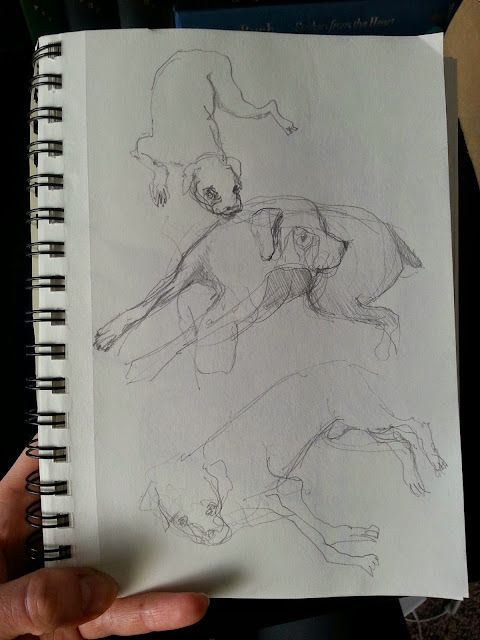 The last sketch is the dogs. They move around a lot, so their faces are not great. I'll see you all tomorrow, my friends.